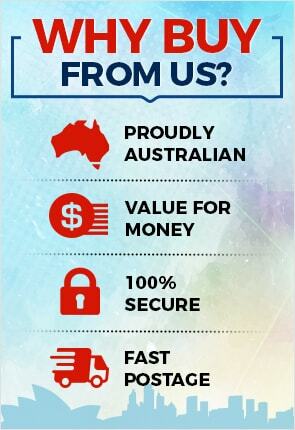 Do you want a simple, easy and convenient way of keeping your lawn in pristine condition? 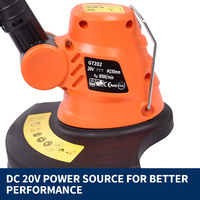 Then look no further than our 20V cordless grass trimmer. 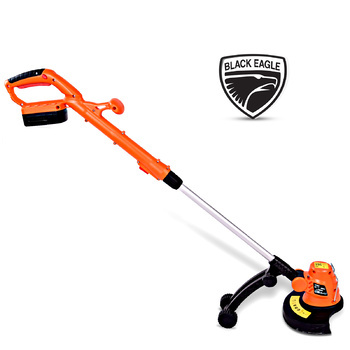 The most impressive feature is that it comes with wheels for great maneuverability and comfort. 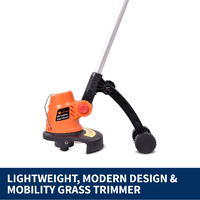 No more carrying your grass trimmer around the garden! 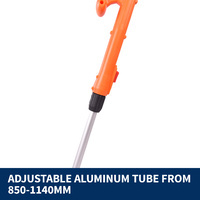 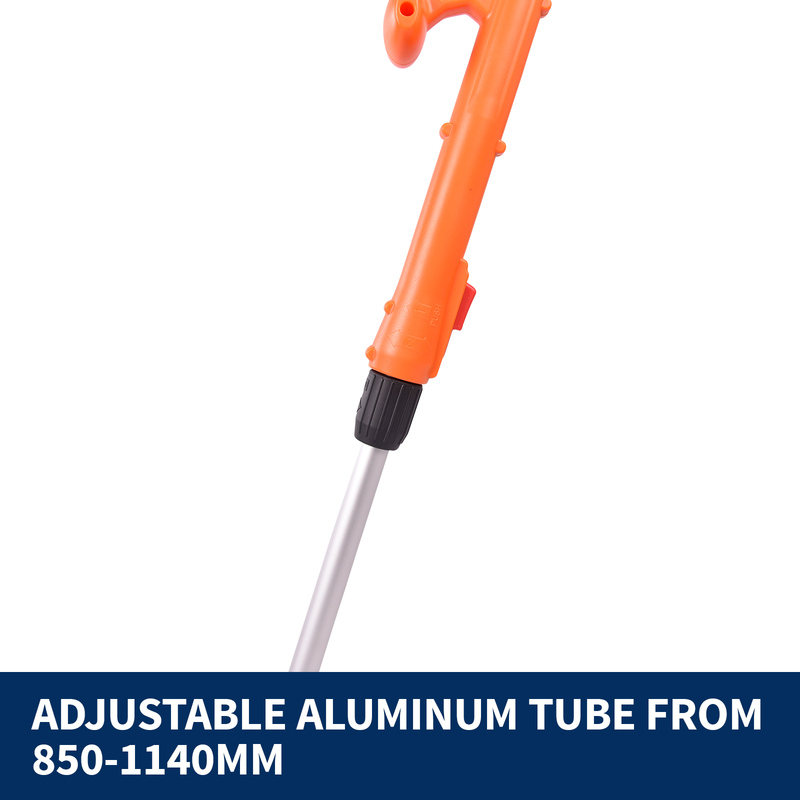 The ergonomic design and adjustable telescopic tube allow for perfect maneuverability and comfort. 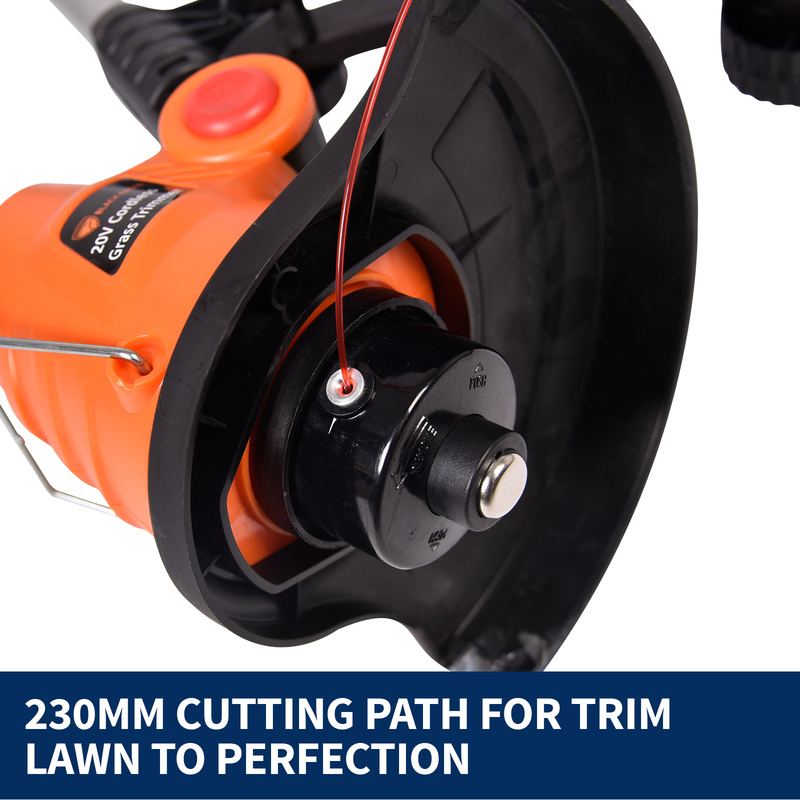 Adjust your cordless trimmer to the perfect length with its adjustable aluminiumtube that can be adjusted from 850-1140mm. 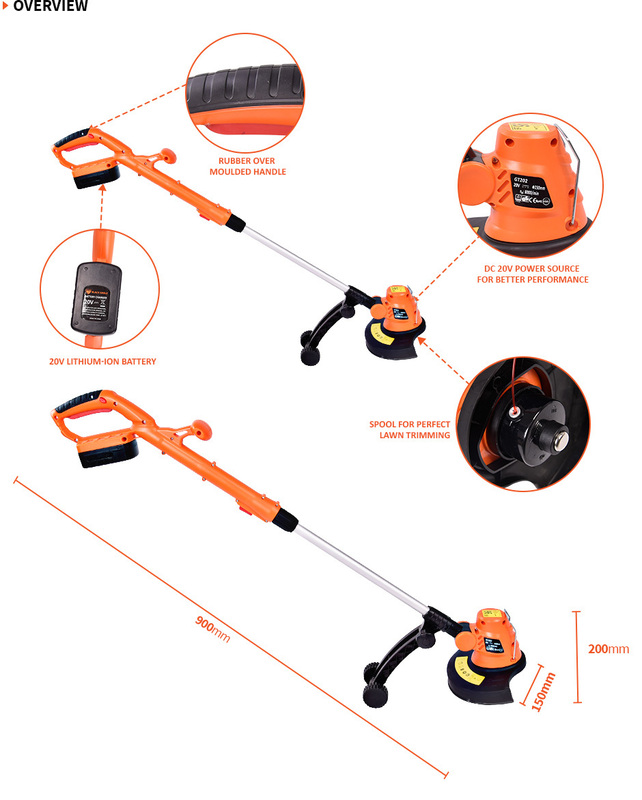 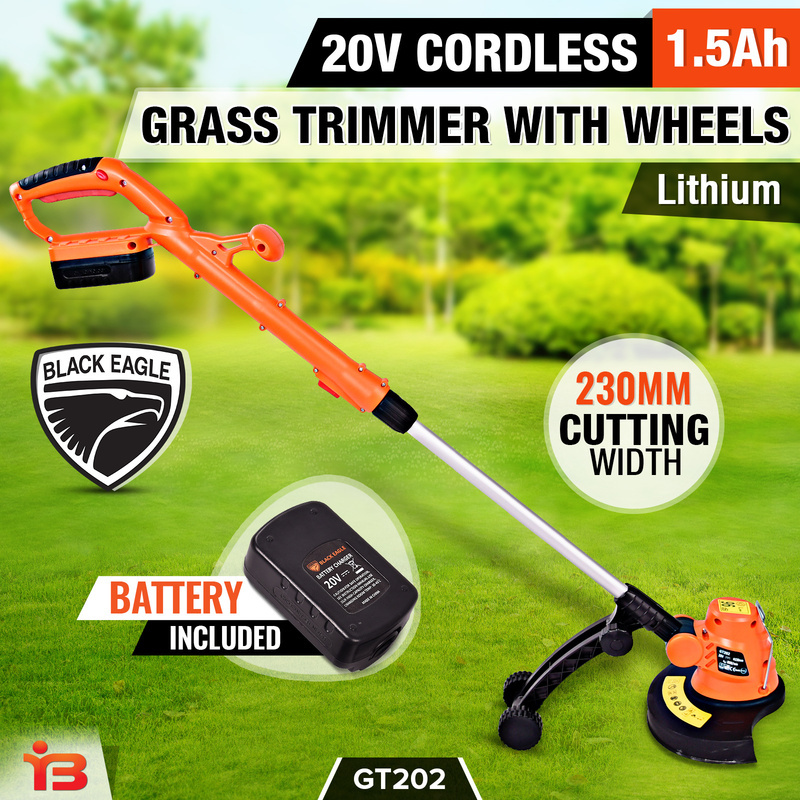 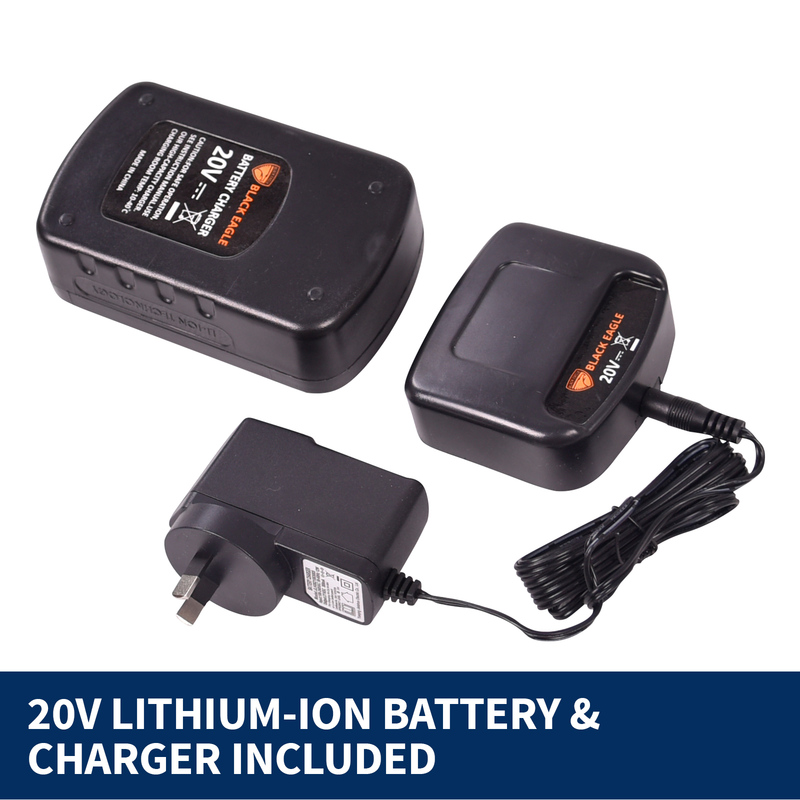 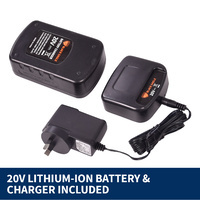 Our cordless grass trimmer comes standard with a 20V, 1500mA.h lithium battery of the highest quality that ensures 30-45minutes of uninterrupted running time. 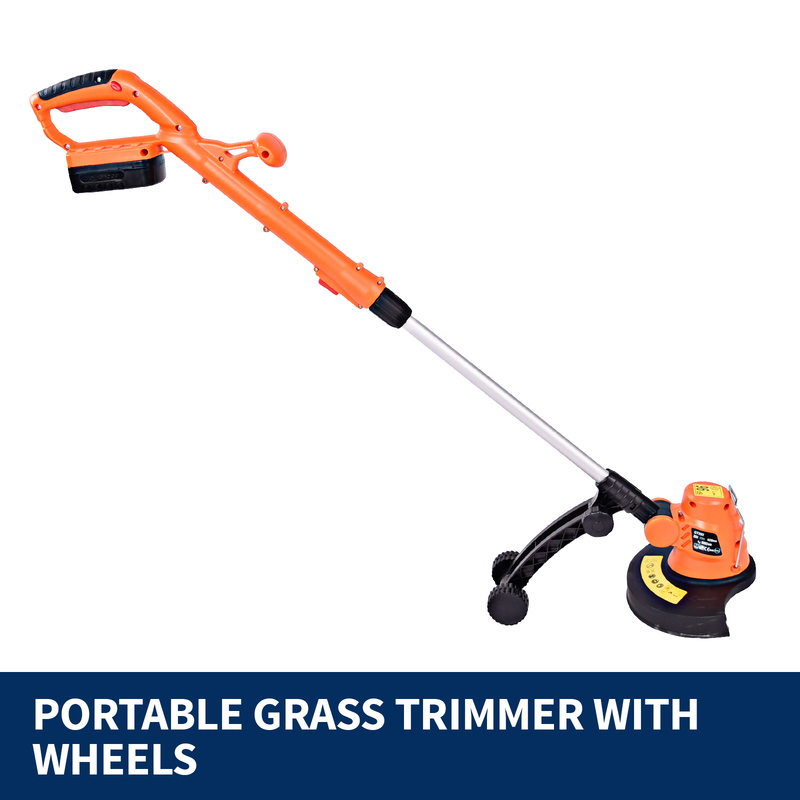 Wheel your grass trimmer around the garden for that perfectly manicured lawn. 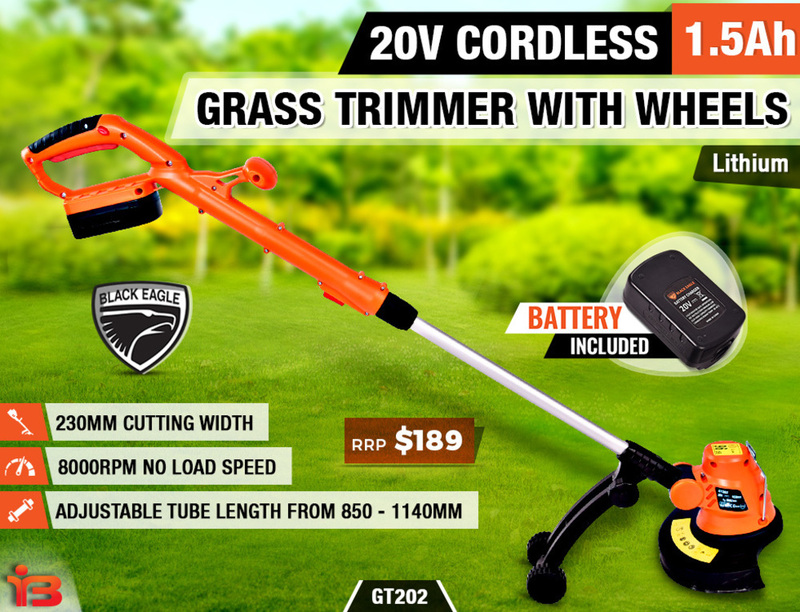 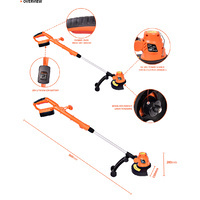 This cordless grass trimmer features a no load speed of up to 8000rpm. Our improved lightweight modern design allows for easy storage and mobility. Trim and manicure your lawn while only focusing on the task at hand without worrying about tangled cords and broken backs. 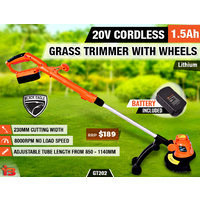 To enjoy your lawn maintenance time, get your cordless grass trimmer today and have the beautiful lawn you have always wanted. 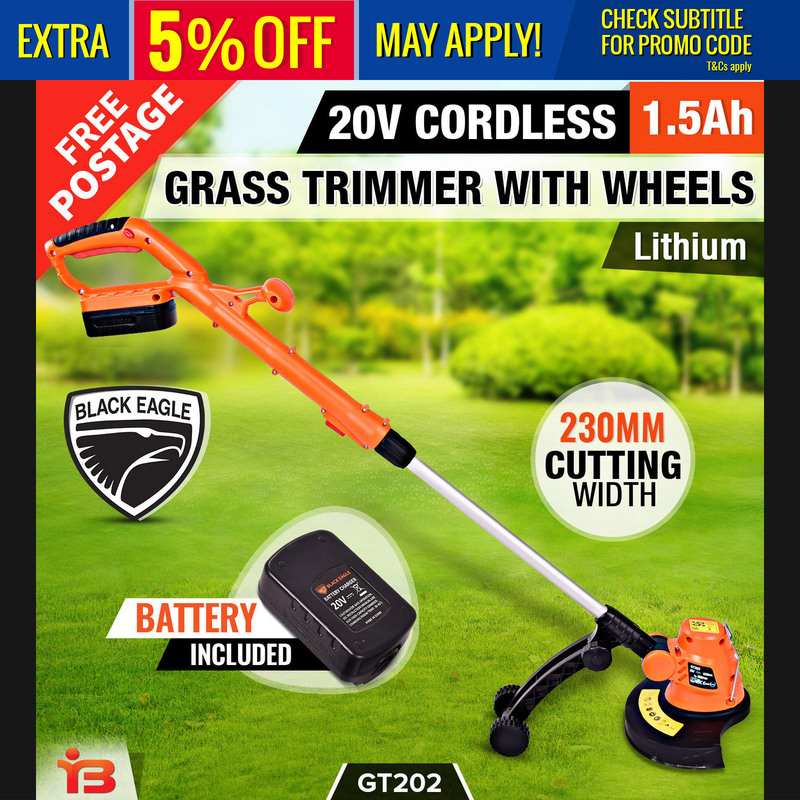 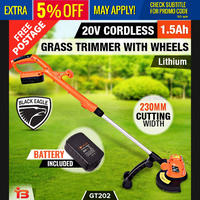 There is only a limited amount of stock available so order your cordless grass trimmer today!